Filmklubben Sandgatan 8 samlar unga vuxna och studenter för att se och diskutera kvalitetsfilm på Sandgatan 8. Vi ser filmer som kan ge underlag för reflektion, filmer som är gjord med mänskligt engagemang. Det vi söker är inte film med “budskap”, men som närmar sig världen med nyfikenhet och öppen blick. Bra film fördjupar livet. Där finns det som inte går att förklara, människans och världens mysterium. Och evangeliets sanning, gömd i den vanliga världen, kan också framträda. Under några år har vi sett film bland annat av Andrej Tarkovsky, Robert Bresson och Jim Jarmusch, Hirokaso Oz, Erich Rohmer, Ingemar Bergman, Ruben Östlund, Bo Widerberg och många andra. Vi har på detta sätt besökt Japan och Senegal, Iran och Rumänien, Burkina Faso och Saudi Arabien. Vi blandar “svårare” och “enklare” filmer, svenskt och annat -alltid med engelsk undertext. Medlemskap i Filmklubben 2017: 60 Skr tecknas på plats Medlemmar kan också låna redan visade filmer. Ett FilmKommando med Simon, Imran, Daniel och br Björn ansvarar för programmet. A man and his family opposes the local authorities and an infernal struggle starts where no means seems to be forbidden. Loving people, drunken people, silent beauty, authoritarian terrorism… you find it all in the fim of stong character and meaning. A couple caught up in a separation drama end up losing their son instead of each other, after one of their arguments. In order to find him again, they decide to temporarily put their differences aside. To manipulate feelings cinema is a strong medium. The plot told with dramatic tension and peaks, acting emphasizing feelings of love or conflict, it all aims at seducing the audience. Beautiful sceneries contribute and not at least a soundtrack that directs the story more than any image. Shots taken from always new camera angles fulfills the variations. The audience should be shrilled and why not? The distractions do have their place. But will they ever satisfy the ones hungry for not only sweets but really nourishing food? To get nourished in the spirit, food for the inner person to live and to be lifted up demands other means. The repetitions of everyday life can seem monstrously dull. Days comes and goes and life passes by. The films of Robert Bresson make use of the cold reality to create films where the factualities of the everyday is underlined. That is what is in focus, but does not have the last word. Amazingly enough the continous flow of the films has the quality of opening the door to a bigger reality. The small details of actions in everyday life transcends to a spiritual opening. Man´s aspiration to freedom and brotherhood breaks through. The walls of imprisonment of the everyday is torn down by an insisting human presence. This is a spirituality from below where it isn´t supernatural vision opens reality, no extra sentiments is used to fill the void. It is the harsh reality that counts. The transformation of the human person arrives in the middle of his normal activities, accomplishing his tasks and failing to fulfill the expectations of the surrounding environment. Is that the end? Finally there is a burst out from the surface of which the everyday life reality is made, the dictatorship of the factual all breaks down. Relief and beauty is all there against a still greyish background. A young priest arrives at the countryside to his new and first parish. Will his grand dreams survive the realities of everyday life and his failing health? Michel starts out as a petty thief in the metro and in the streets of Paris. The stealing becomes like an addiction with the skill, the risk and the tension it brings about. But there is someone observing him who will put an end to his career. We continue the the FilmDays theme. In France during the Second World War we watch a man trying to escape from a Nazi prison. A quiet and simple film, with small things leading up to a striking finish. Wenders was born in 1945 into a catholic family living in Düsseldorf. He studied medicine and philosophy until he dropped out and instead moved to Paris in order to become a painter. He was almost obsessed with film and cinema and often watched up to five films a day at the local movie theatre, and later applied to the national film school of France but failed to enter. Despite having been let down, he decided that film making was to be his life’s work back in Germany.In the 1970s, together with Rainer Werner Fassbinder and Werner Herzog, Wenders was one of the founding members of the New German Cinema. Today he is perhaps best known for his documentaries but is equally adept at dramas. Because of his reoccurring cinematographer, Robby Müller, Wenders films often feature a particularly impressive visual imagery. Another common trademark is his interest in finding identity in a greater context and the searching for truth in the world that surrounds us, following the journeys of people as they search for themselves. A terminally ill German picture-framer becomes involved with the mob through his American friend. An atmospheric and existential thriller with a scope beyond simply thrilling entertainment. An angel, visible to the audience but not the people in the film, walks around a Berlin still divided by east and west. He talks, reflects, consoles and small and particular dramas take place. With his many films and theatre plays Ingmar Bergman, 100 years 2018, stands out as a remarkable director. In renewing cinema in the post-war period, he makes use of his personal character to create dramas of both tension and joy. Filmklubben presents on these Filmdays three films very different from each others. A sadistic school teacher nicknamed Caligula by his students, and seemingly inspired by Bergman’s real life father, teaches latin at a Stockholm high school. The fact that his cruel way of teaching awakes the students hate against him doesn´t seem to bother him. That is, until things go too far, thus revealing an entirely different side of him. The travelling cirkus is in a decadent state without hope for the future. Humiliations and poverty follows, it seems to be the end. But is it? Is there not also joy possibilites in life and play that goes beyond expectations? 17.30 DINNER Bring a small thing for the table, please! The classic opera by Mozart made alive again through the interpretation of Bergman. In an interesting take where we watch both scene and audience in an attempt to explore the “noble magic of the illusory theater” Bergman creates something new, but still stays true to the original. Ingmar Bergman was the first to treat existential issues on the silver screen. What Dostoyevsky is to literature, Bergman is to cinema. On his 100th year, Sweden celebrates its greatest artist, and Domino joins in. As the son of a Lutheran priest, Bergman’s narrative often takes the form of religious doubt, themes of humiliation and, eventually, the search of a dignity within the human spirit, beyond a burdensome notion of God. But as previous discussions in Domino FilmForum have shown, Bergman never really leaves the Christian realm, and his world famous atheism is, on a closer look, not that convincing. On a psychological level, Bergman depicts the constant, inescapable interplay between layered human masks, put on for protection but causing personal breakdown. But be not fooled. The play, and indeed even the mask, carries also joy. Fundamentally, Bergman is a man of the theatre, with a loving embrace of all its genres from drama to comedy. This becomes evident not the least in the festive adaptation of The Magic Flute, not to be missed. Cinematographically, Bergman was daringly innovative. In Summer with Monika (1953), an actor (Harriet Andersson) for the first time in the history of cinema makes eye-contact with the audience. The close-up of the human face is, in Bergman’s view, the true soul of film, and his zooming technique vitalised the intimate co-operation with the actors, which became legendary. Sawdust and Tinsel and Torment were shot 65 and 74 years ago. They still speak to us. This is to say: Bergman made films in black and white, but we can see the colours. 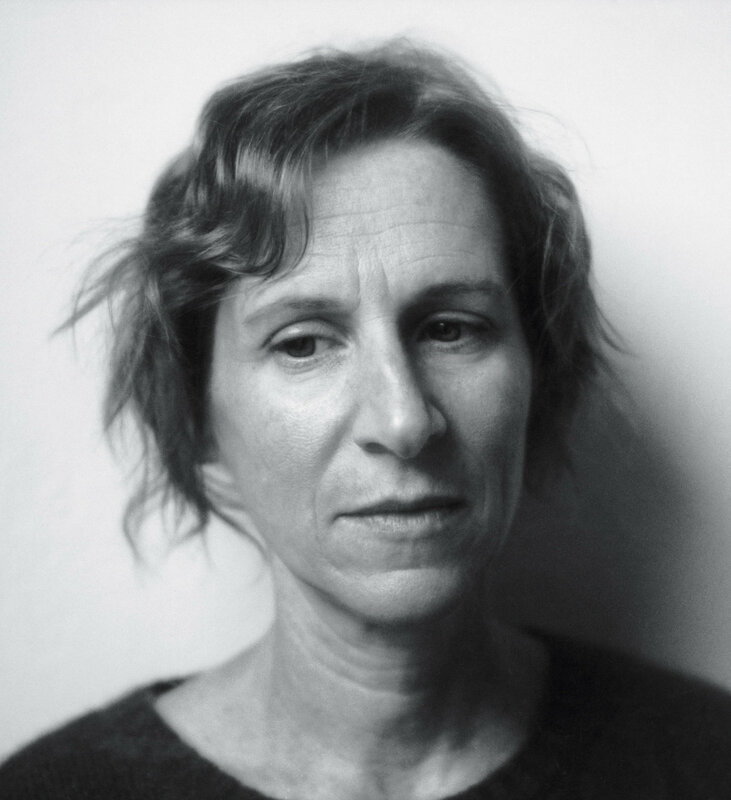 In the films of Kelly Reichardt we meet with people facing exceptional situations where trust is questioned. The storytelling is seemingly minimalist, days passing by with everyday events, but these are standing in front of the dramatic background. Reichardt takes no interest in telling the meaning of the plot: “That goes against everything that I just worked for. So I have no interest in summing it all up. It’s all out there”, as she says in an interview 2014. Life is interesting enough if you stay with it. During the financial crisis of 2008, a woman and her dog attempt a travel to Alaska in search for work, scarce in America due to the crisis. The journey turns out to be full of obstacles but help also arrives, although not the way one might expect it to. search for a better life. However, they soon find themselves lost and without a proper guide in the desert with their water supply running low, that is until they capture a native American that could help them. But can he be trusted? A band a young friends engaged in societal questions takes their action. Good intentions, but how about the results? An action movie of a different kind. 19.15 Introduction by ASTRID SÖDERBERGH WIDDING Professor of Cinema Studies in Stockholm. Astrid also joins for the discussion after Thursday and Friday films. An old couple come to visit their children who moved to Tokyo. In a quiet way the visit goes bad. From a few elements Yasujiro Ozu made one of the greatest films of all time. It doesn’t force the emotions, but rather invites to share and understand the complexity of life in a quiet way. Late Autumn begins and ends with an almost tangible scene of human warmth. From the opening memorial service to the closing scenes, a wedding, the film creates an atmosphere thick with irresistible humour and depth. Beyond the more aesthetic details Late Autumn is at heart an undeniably humorous yet touching story about the nature of humanity. In this documentary Wim Wenders travels to Japan in search for the Tokyo seen in Ozu´s films. What he seems to find is something else, and he takes us through what might be a totally commercialized city. But is it all? Wenders stays in wonder. He does not find much of Tokyo city of Ozu, but he does find something, perhaps more interesting, a way to look at and to participate in the intimacy of peoples lives. Människor längtar ständigt efter olika saker, allt beroende på ens personliga dispositioner. Sett ur ett filosofiskt perspektiv har ett vanligt sätt att förklara denna längtan varit att reducera den till viljan att vara glad. Såväl Aristoteles som St. Thomas av Aquino har som exempel på detta utnämnt lyckan som människolivets yttersta mål. Men enligt dem rör det sig inte om social status, materiell rikedom eller njutning. I den japanske regissören Yazujirô Ozus filmer möter vi den längtande människan. Berättelserna utspelar sig i efterkrigstidens Japan under det oundvikliga uppbrottet mellan den gamla tidens skönhet och isolation å ena sidan och å andra modernitetens ständigt hänförande intryck och avförtrollning. Dessa dramer kompletteras av regissörens nyskapande talang på ett rent praktiskt plan då filmerna systematiskt tar avstånd från den etablerade stilen som präglade Hollywood. Ett kännetecken är de låga kameraplaceringarna och de statiska scenerna där kameran inte rör sig alls. Nyskapandet är dock inte ett ändamål i sig för Ozu utan hans speciella stil fyller funktionen av att ge filmerna en mer egen och intim karaktär. I motsatsförhållandena modernt – tradition samt förälder – barn som Ozu beskriver, kommer ofta längtan efter lycka till uttryck. De unga vill söka nya vägar att utforska bortom det traditionen eller föräldrarna genom erfarenhet menar är bäst för dem. Men i slutändan kan de varken finna sig i den nya tidens föränderlighet eller i nostalgi gentemot den gamla. Detta eftersom deras glädjelängtan inte går att finna i lust, rikedom, ära eller i det kroppsligt goda utan i något helt annat, precis som Aristoteles och St. Thomas av Aquino påpekar. Det innebär dock inte att livets mer materiella aspekter är av ondo eller bör förbises, utan att de inte är tillräckliga i sig. Men vad är det då som saknas? I Johannesevangeliet 6:27 uppenbarar sig en lösning på gåtan: ”Men sträva inte bara efter att få mat för dagen, utan sträva efter den mat som kan ge er evigt liv, den mat som jag, Människosonen, ska ge er”. In the70ies Wim Wenders, born 1946 in the American zone of the occupied Germany, made a trilogy of road movies. Moving around the world has also been his way, depicting human consequenses of the modern society. His critics are not of the confrontative kind, rather poetically beautiful portraits on the threats and possibilities of man. Wenders belongs to the young german film makers, together with Rainer Fassbinder and Werner Herzog, looking behind the facad of the post-war German society in the 60ies. For Wenders the person alive behind the mask of conventions and mass produced individuality seems to be the main theme. Among his films you find the quite burlesque The American Friend in 1978, Paris Texas, an influential film in the 80ies which was followed by Wings of Desire with an angel walking around Berlin, then still a devided city, consoling and helping people in need. In later years Wenders has focused on documentaries, still creating films faithful to his humanistic look on man. FilmDagar : Skall jag ta hand om min broder? Medlemskap i Filmklubben 60 SEK vid entrén 15 minuter före varje film. För studenter och unga vuxna. Introduktioner till alla filmer.Medlemskap i Filmklubben 60 SEK vid entrén 15 minuter före varje film. Set in modern Sweden, this is a realistic portrayat of an unemployed girl struggling to find a job for herself and her father. All she strives for is that life should offer something more. More than just eat, sleep,die. Introduction by Wiktor Ericsson, director for the film Jordgubbslandet that went up on the cinemas this summer. A working-class boy is bullied at school and abused at home. But through the care of his teacher Mr. Farthing and some of his friends from school he manages to keep his spirit and appreciation of life alive by taming and training a falcon. That is until things take a turn for the worse. A man navigates to survive in England of today. It turns out to be a difficult thing, however, when supportive institutions are revealed to be systems of control and technic. Follow Daniel on his journey to maintain dignity and love, joining others struck by precarity. A romance film centred around a young musician, Gaspard, and his ambiguous relationship with three young women during a vacation in northern France. Gaspard is caught in a struggle over whom he likes the most, until he realises that the time to decide is drawing close. The French director Eric Rohmer invites us into the lives of two women on vacation, Pauline and her cousin, Marion. He portrays the first tentative experiences of romance in all its tension and beauty. With its surprisingly funny and natural (and very French) manner in which the characters of the film react to each other it is very easy to get involved and the story becomes almost like a part of your own life. Rohmer shows us that love and relationships, very difficult and complex although both engaging and beautiful. Söndag 26 mars 19.15 Happy people. A year in the Taiga by Werner Herzog and Dmitry Vasyukov, Germany 2010 Can people living under extreme conditions be happy? Come and join Werner Herzog, wellknown film maker an a trip to far away Siberia, A documentary interpretation with dark winters, -45 degrees, loneliness….and… happiness? English subtitles to all films. Films followed by discussion. Sweden 1963, the church is almost empty when celebration starts. The countryside priest tries hard, inside it´s empty and cold: -istn´t all just hypocrisy? An event makes things evolve. Is love possible? Could that silent God spreak? A travelling comedian company, people on the move with actions of violent repent when the plague threatens, a knight looking for a life to live. A story of contradictions in the 14th centrury landscape. Two boys reunite with their father, known to them only through a photograph, and experience an emotionally clashing journey through the russian wilderness together. I diktaturer som Sovjetunionen, Nazi-Tyskland framställs propagandabilder med unga och starka människor,som ger sig själva helt och fullt i arbetet för nationen. Blicken är spänd framåt, mot det ljuset dit man vet att partiet och ledningen för dem. Alla människor är glada, sunda, helgjutna. Den programmatiska glädjen och trosvissa framåtandan karaktäriserar auktoritära system, stater och rörelser. Verkligheten framställs lätt att förstå. Man vet vart man skall och vilken som är den rätta vägen. För detta kämpar man med alla medel. I det auktoritära har tron konsumerats av ett vetande som tränger ut alla tvivel. Tron på det Enda har blivit allenarådande och verkligheten delats i två: för och emot, ont mot gott, vi mot dem. Dualismen leder i sin konsekvens till sadistiskt våld: det onda skall utrotas, det Enda skall råda. Principen ligger djupt begravd i det västerländska tänkandet. den kristna traditionen också den burit det auktoritära med sig, min i dess kärna har något annat gjort sig hört. När Gud, annars långt borta, föds som människa träder en tredje part in i den skapade världen, Guds kropp att tillbe och längta efter. Här friläggs en möjlighet att få kontakt med det totalt annorlunda och för kroppen och hjärtat kan smaka det helt omöjliga. Det som undertryckts av vetandet att Ett är rätt, Ett är gott, kan framträda som en glädjefylld längtan som är uppfylld mitt i törsten och hungern. I Bergmans Nattvardsgästerna och Det sjunde inseglet som vi visar på vårens FilmDagar möter vi tvivlare på väg. Det är människor som brottas med världen och dess auktoritära traditioner. Livet verkar torrt och fattigt på glädje och vägen framåt svår att urskilja. Men behöver man veta? Kan livet istället vara tillit till det okända, det som inte manifesterar sig med högljudda paroller? Kan det vara en liten stig, eller en lekfull kärlek? I Zvyagintsevs Återkomsten ställs saken på sin spets när den auktoritäre fadern provocerar sonen till upproriskhet. Nutiden präglas av längtan efter tydlighet och säkerhet i en värld som framträder som oöverskådlig. Våra tre filmer kan ses som ett korrelat till det enkla svaret och ger en ton av något annat, något som viskar svagt i människors inre. famous because of his films, seen and discussed all over the world. and exceptional acting. The films and his personal life goes hand in hand. with his loss and the distance of God. The struggle is present in many films. can meaning be found, how can we live together are some questions. human person, tending to be put aside by the society. After a playground fight that left one of their preteen sons slightly injured, two well-off Brooklyn couples meet to discuss, in civilized terms and in the spirit of community, how the aggressor can make amends to the injured. The slightly forced veneer of politeness with which the two couples’ meeting begins soon degenerates into their own sort of childish playground squabbling. Made from a stage play this film all the same is very dynamic and alive. Is it also funny? This is the kind of picture that has many faces. It’s charming, truthful and full of the sadness of everyday life. It also plays with the colourfully odd and ineffective of peoples lives. July’s film takes place over a few weeks in southern California suburb where a variety of people live lives trying reaching out towards each other for love, consolation or some form of community. The adults are yearning and ineffective; the adolescents have an assertive quality. It´s a film continuing the theme of Dream and reality from the Film Days recently. A famous film on a man who fears growing older, losing the hope of true love and not being respected by those who know him best. Lester Burnham, the hero of “American Beauty,” is played by Kevin Spacey as a man who is unloved by his daughter, ignored by his wife and unnecessary at work. “I’ll be dead in a year,” he tells us in almost the first words of the movie. “In a way, I’m dead already.” The movie is the story of his rebellion. ”Let´s move to Paris and start a new life”, April one day says to her husband, played by Leonardo DiCapro. And they start realizing their project, which opens unexpected feelings, possibilities and reactions. As in his previous film, Sam Mendes does not tell us what to think or how to react to the story, leaving the interpretations to the spectators. 18.45 Middag – ta med något att dela. Benjamin is young gradute who does not kow what to do in life, just hat he does not want to live like his middle-class professional parents. He is invited in a relationship with the much older Mrs Robinson and from there it will come many complications. The Graduate is a classic with eternal, undated appeal. It´s easy to feel with Benjamin, his woories and lack of self-confidence. The film includes the famous soundtrack by Sinon&Garfunkle, with songs like Sounds of Silence and Mrs Robinson that elegantly mingles with the story. The three films of the Film Days at Sandgatan this Autumn talks a talk of people who are about to make real some of their more radical dreams. They also do jump and start off for a new life. Realizing dreams are necessary parts a part of the self-accomplishment and the identity-building that has become important in postmodernity. In surch to become a distinct person who successfully manage life. it seems natural to realize what I dream of. The Danish philosopher Sören Kierkegaard once said that the worst thing that can happen to a person is that he gets the chance to realies his dreams. Do our films confirm this statement? At least you may find that personal imperfection and unsatisfaction can be efficient motors behind dreaming. At the core of dreaming stands also darker sides of the human person. The films we show talks about what can happen when a dreaming of a radical change meets with the realities of life. At a certain moment there is a turn to the present time of the dreamer. Will he at this point accept that the dream was only a dream. Or will the dream come through? What happens in the moment of truth? Short introduction by Nicolaus this time. Man on the roof is the first of many Beck- movies, but also very different. I crime drame, but also much more. A murder and all the tragic around, for all parts involved .What invest this film with seriousness and a claim on our attention are the characters themselves. They inhabit a real world and are scetched in their environment and their relationships swiftly and deep. Bo Widerberg, the film maker, an ordinary Malmö guy is the greatest director in Sweden in his generation. It´s coherent, exciting, humanistic and with a sharp eye on the Swedish reality. Medlemskap i Filmklubben 2016: 60 Skr. Registrera dig 15 minuter före programmets början. Fem berättelser berättade i shortcuts från olika situationer i Sverige idag. Saker verkar vara så naturliga och normala, men strax under en till synes obekymrad yta finns ett liv med andra dimensioner. En vanlig dag i Göteborg, två pojkgäng från olika delar av stan möts i ett köpcenter. Spelet börjar och sedan finns ingen väg ut. Hur kunde det här hända? Filmen baseras på en verklig händelse. En man återvänder till sin by och gifter sig. Men varifrån kommer hans rikedom? Det finns i den här filmen en stark livskänsla, som kommer både från skådespeleriet och från miljön, med en handling som äger rum nästan uteslutande utomhus. Förutom filmens moraliska dilemma, så är den också humoristisk och rolig. Ibland ordnar vi vandringar i naturen. Vi går till Dominikansystrarnas kloster i Rögle utanför Lund och firar mässa, eller tar bussen någonstans och vandrar halva dagen, med picnic någonstans på vägen. En eller fler gånger per år samlas vi ett veckoslut till reträtt kring ett tema, t ex i Rögle, med bön och samtal och perioder av tystnad. En grupp har åkt till Gotland en vecka på sommaren och haft lägerreträtt, att dela livet och göra saker tillsammans.